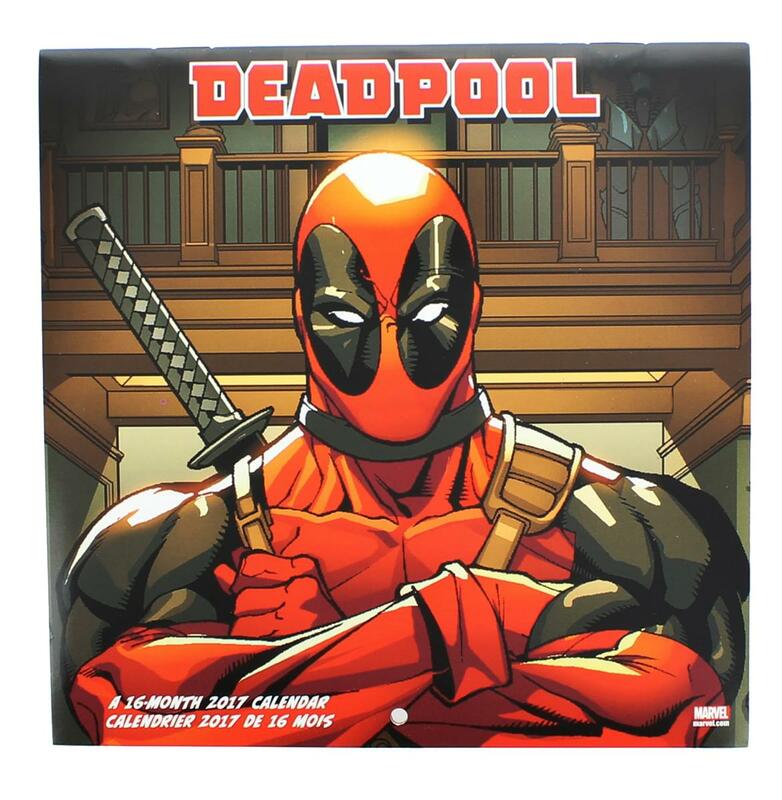 Wade Wilson's superhuman healing factor gives him enhanced abilities in strength, agility, and reflexes. 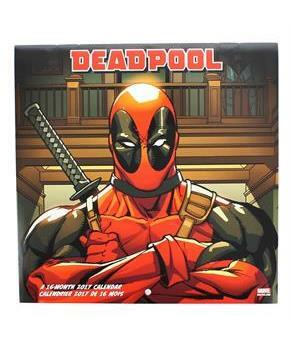 Come along for a tour of his mercenary activities in this bilingual wall calendar dedicated to the DC Comics character. Sixteen-month wall calendar features 13 spreads to highlight each month in 2017, as well as the last four months of 2016. Each wall calendar is printed in 4-color on FSC-certified paper. Measures 11.2" x 11.2".